“The hardest thing for me right now is deciding what to do next,” muses Maikhene Dedkhounfong, an Engineering and Mining student at the National University of Laos. “I have to choose what I will specialise in for the rest of my course. It’s either exploration or extraction, and both options look interesting”. Maikhene realises he is fortunate to have this dilemma at all. His parents live in Khounkham District of Khammouane Province and neither have permanent employment, picking up casual labour when it is available. “I spent seven years at the THPC School in Khounkham, and then won a scholarship from the company to attend university here in Vientiane. I have been very lucky”. His parents applied to THPC for a place at the school when Maikhene was finishing primary school. “My family has never had much money,” he says, “but with THPC offering a high standard private school education for free, I was able to take a good opportunity”. He studied hard at school and was always near the top of the class, winning the university scholarship in his final year. “My parents encouraged me to study a subject linked to mining,” he explains, “as this is a growth industry. I can also use this engineering degree in other industries if I want”. Like the other four students studying at universities on THPC scholarships, Maikhene receives a monthly living allowance and also has all fees paid. He says the allowance is more than enough to cover his rent, food and study materials, and he has enough left over to travel home to visit his family between terms. “I can even save a little to give to my mother,” he adds. “She still has my younger sister and brother to look after”. 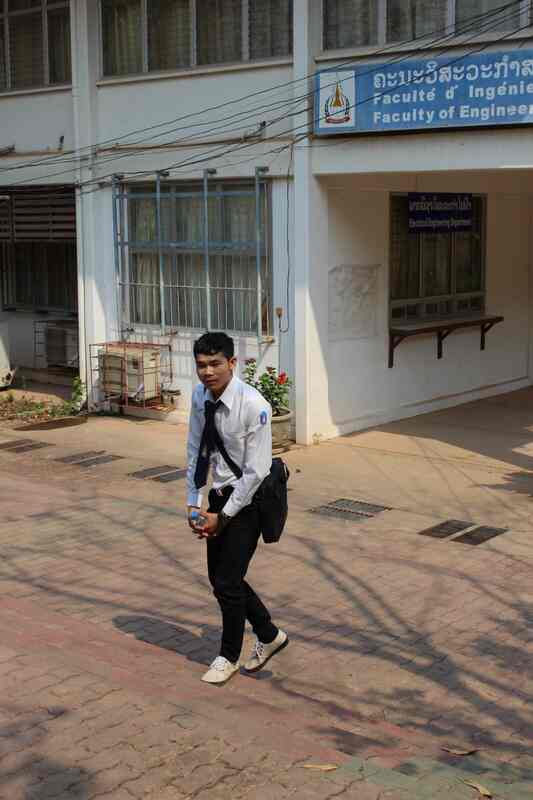 Maikhene found it tough at first after his move to Vientiane. “The other THPC students are at different campuses, so I had to make new friends here”, he remembers. “But I soon settled and I can manage to get ‘B’ scores in most of my exams and papers”. His ambition is to finish the course and find work as soon as possible. “My parents are getting old,” he says, “and I’d like to be able to support then through their retirement. I want to work for a good company – one as good as THPC if I am lucky”.